Do you see the glitch? The panel was a fun one, made up of myself, Alec, and host of the Axanar Podcast KEITH M. SEDOR. STEVEN “Admiral Slater” JEPSON was moderator. We listed and discussed what we thought were the TOP 10 Star Trek fan films released so far. 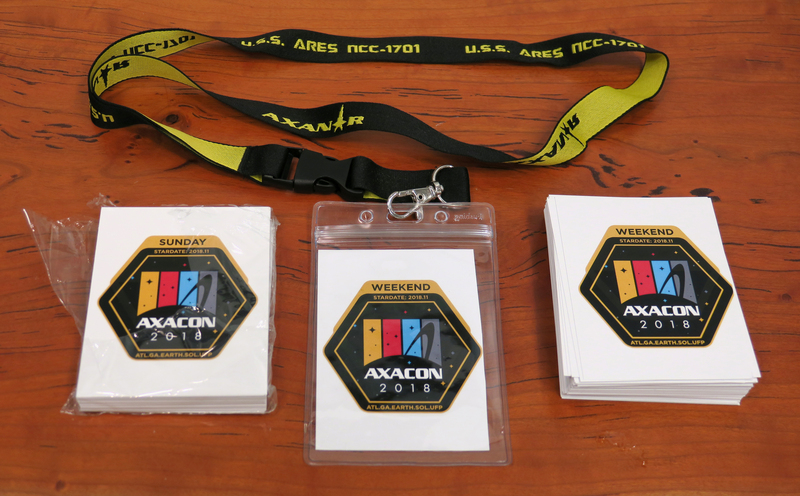 Obviously, we were all there because of Prelude to Axanar and the “Vulcan Scene,” but out of respect for other fan films, we didn’t include the two Axanar releases beyond explaining why we weren’t including the two Axanar releases. Obviously, they’d make the list easily, but we wanted to spotlight as many other fan efforts as possible, and so we left a couple of extra slots open. Engaging story – does it grab me and make me want to find out what happens next? Tight, well-written script – does the film avoid most or all superfluous scenes and dialogue? Quality production values – good lighting and sound, costumes fit, decent make-up and props, sets and/or green-screen composting done well, etc. Solid acting – not every actor needs to be professional or trained, but their performances need to feel believable. Intelligent directing/editing – choice of camera angles, lighting, scene-editing, getting strong performances out of the actors, etc. Visual FX – not always necessary to have, but if you have them, do they work and serve the story and not vice-versa? Music – whether copyrighted or original, does the music help tell the story? As a summation of all of this, does the fan film pass the “re-watch” test? In other words, would you be willing to watch this fan film multiple times and still enjoy it? I’d like to mention that the last film on the list was NOT suggested by me. 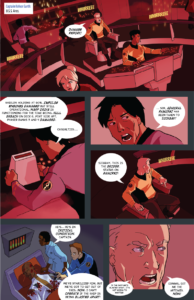 (I co-wrote and co-produced it along with Axacon guest MARK LARGENT.) 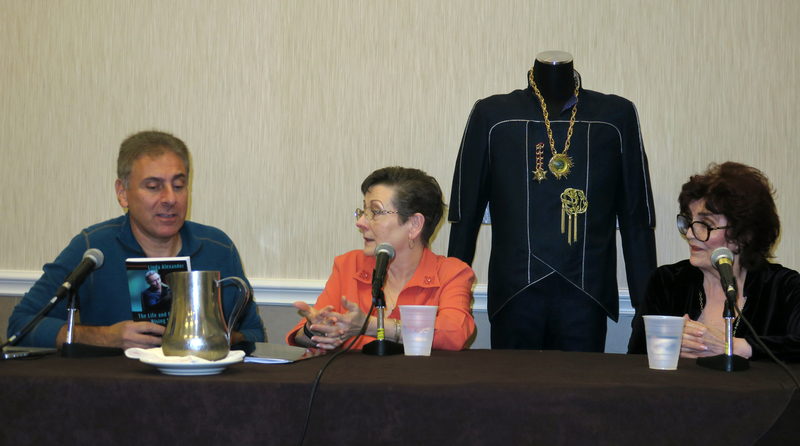 The other panelists felt that it and its sister production Stalled Trek: Amutt Time should be included. Also given an honorable mention was Chasing the Infinite Sky, a short film by Axacon attendee ALBERT MARTINEZ. But unquestionably be biggest (very pleasant!) surprise of the con were two last-minute guests that were added just days earlier. STEVE IHNAT (pronounced EYE-nat) played Garth of Izar in the TOS episode “Whom Gods Destroy.” He passed away tragically and unexpectedly in 1972, leaving behind a wife, Sally. 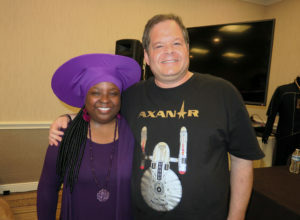 Earlier this year, author LINDA ALEXANDER (great-great-great-great-great-great-great grandmother of Captain Sonya Alexander perhaps?) published a biography titled The Life and Death of Rising Star Steve Ihnat ~ Gone Too Soon. Alec Peters learned of the existence of this book just a week before Axacon and quickly discovered that Linda lives in neighboring Alabama, just a few hours drive from Atlanta. He immediately contacted her, told her about Prelude and Axacon, and asked if she’d like to attend as a guest. A couple of days later, she got back to him and said yes…and asked if Steve Ihnat’s widow, SALLY IHNAT MARSHALL, could attend, as well. Sally would be driving down from North Carolina. The panel had some beautiful moments and wonderful stories, and Sally said that her husband would have loved all of this and been very flattered that Alec admired his Star Trek character so much that he would make a film about him. At the end, during audience question time, I asked if either of the ladies had seen Prelude to Axanar. “Not yet,” they said. 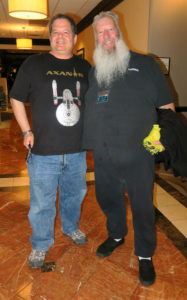 Alec informed me immediately after the panel that he wanted me to interview them after lunch for the Blu-ray of Axacon. So I decided it was time to have a little pre-interview chat with the ladies. 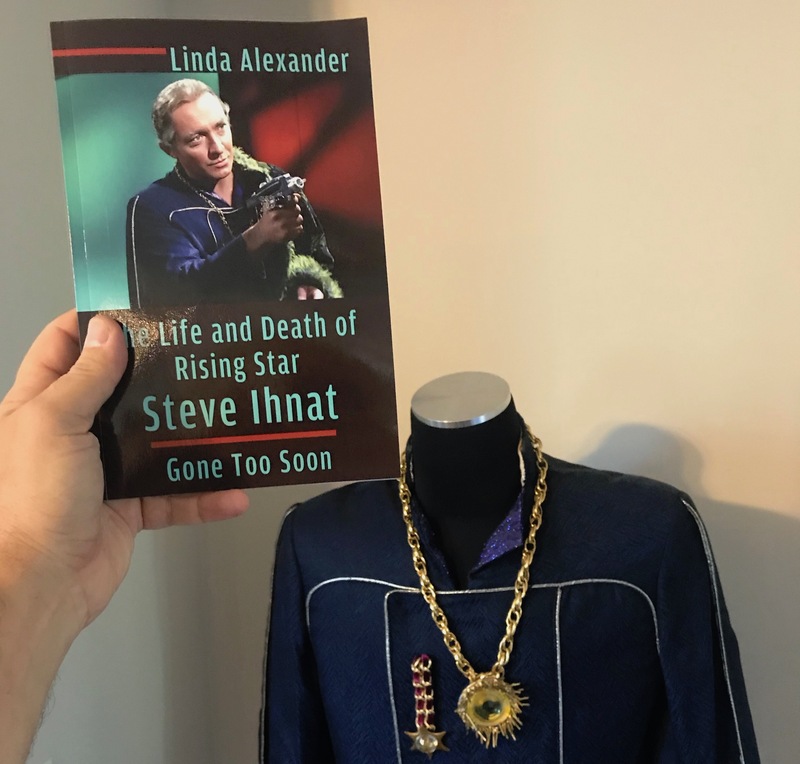 I bought a copy of Linda’s book (which she autographed, of course), and we discussed a little about the history of Axanar, the lawsuit, and how Linda came to write a biography of Steve. Then I offered to show her and Sally Prelude to Axanar on my computer during lunch…if they were curious to see it. She said they’d be delighted. While Prelude played, I explained some of the backstory. 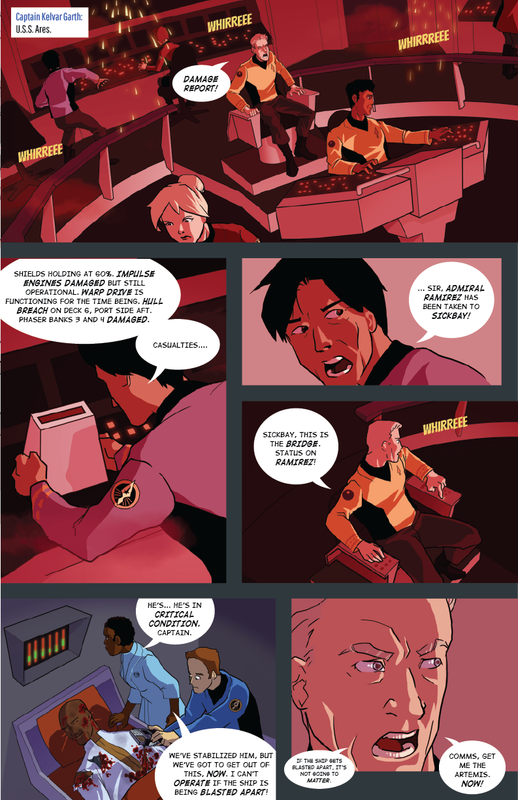 “Your husband’s character was a war hero in Starfleet. Alec wanted to explore what he did during that war to become such a hero. So this scene sets up the attack that started it, like Pearl Harbor…” The ladies couldn’t believe the quality of this production…and all done for less than $100K. Sally used to be an actress and appreciated the performances…including Alec’s. When it finished, they understood much better about why we were all here and so committed to finishing this project. Steve Ihnat had been just as committed to a personal project of his own, spending $37,000 of his own money in 1971 to create an independent film that was to be shown at the Cannes Film Festival. Sally told me that Steve would have respected Alec for following his passion and doing the same thing. Later, during our interview, we would again discuss this. But before the interview, I had another panel to moderate! 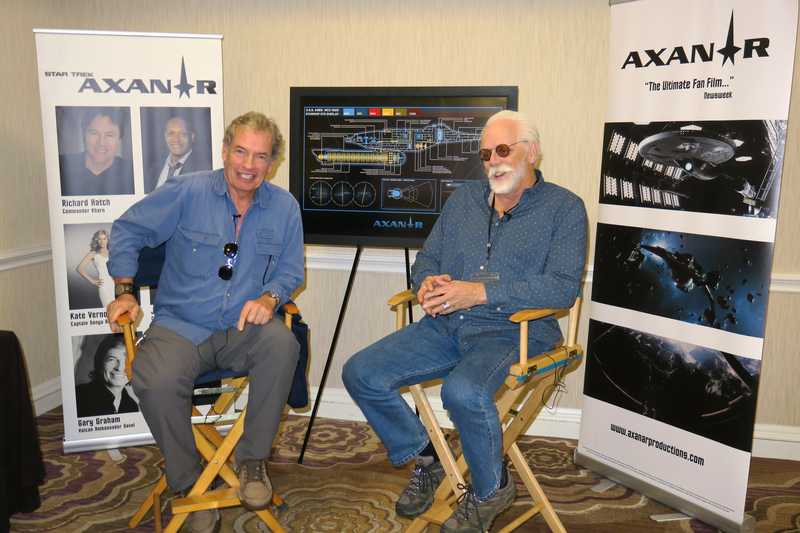 So after lunch, I grabbed my laptop and hurried back to the Axanar meeting room to plug into the monitor. 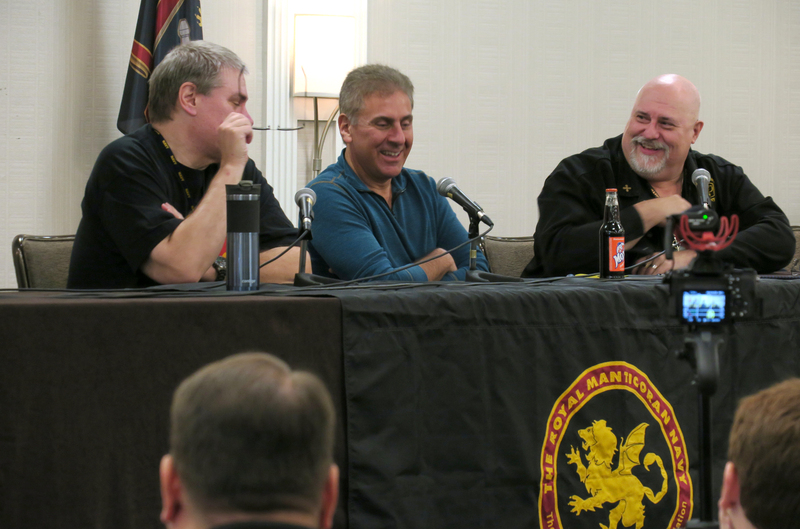 The panel was a lively discussion with the guys who are actively writing Axanar fan fiction—MARK PAYTON and myself—plus the aforementioned Mark Largent, who wrote Prelude To Ax’d-We-Are. 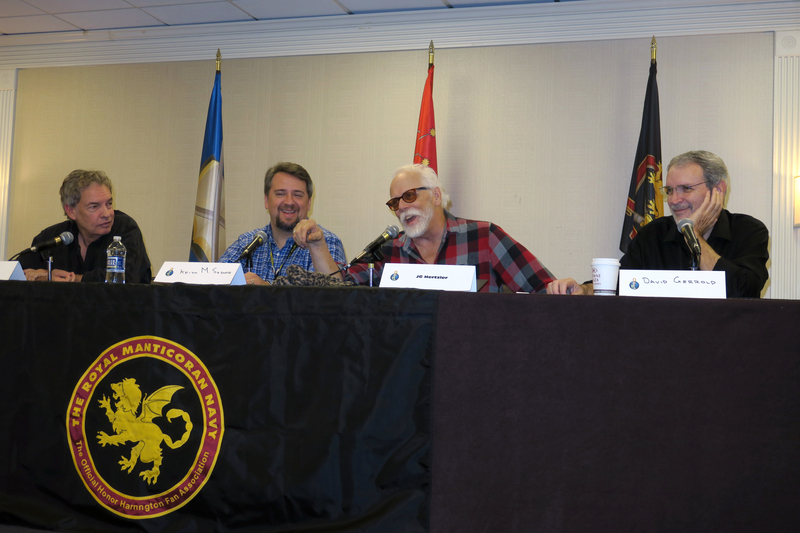 Missing from the panel was TREY McELWAIN, who inspired the rest of us by creating the first Axanar fan fiction in the form of AXANAR COMICS. (Click that link to see the two short stories he’s already produced under his “Tip of the Spear” saga.) Trey couldn’t attend due to unforeseen medical bills following a neck injury, but he wrote me a beautiful note to read to the audience about his late father and why Trey’s dad would feel proud of what his son is doing. 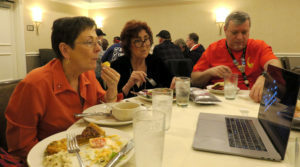 With no panels scheduled for me for another two hours (next up were Alec and Axanar co-writer and director PAUL JENKINS), I now had a chance to interview Linda and Sally. The Saturday film crew brouoght along three cameras and two clip mics. They’d set up two cameras in the panel room and had the other set up in the back of the gaming room along with the two directors chairs and the backdrops from the previous day at the studio. This time, I was fully prepared, and the interview turned out great. I can’t wait for you folks to have a chance to see it! At the end, I got a great big hug from each of them…just as Alec walked in, having finished his panel. He got hugs, too, as the ladies were about to drive back to their respective states before it got too dark. Of course! Geez, this was turning into quite the weekend of work for me! But at least this time, I had a whole bunch of interview questions ready for Gary and J.G. Granted, they were the exact same questions I’d be asking them during my panel on Sunday (or so I thought! 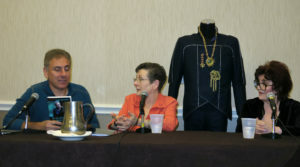 ), but I’d had a few questions for Linda and Sally that overlapped some questions Alec had asked them during the panel. So it wasn’t the end of the world if things were double-covered. Fortunately, things eventually got a little more focused. But later on, I told people that I am going to get a T-shirt that says: I SURVIVED GARY EFFING GRAHAM AND J.G. EFFING HERTZLER! ‘Cause I did! I managed to get in some good questions, though. One of my favorites was asking how it was different for an actor when the camera is in tight for a super close-up versus wider shots when there was more room to move around and hit marks. And if you want to hear the answer, get the Blu-ray perk when it’s available. As I wrapped up what was nearly 45 minutes of zany hijinks with a little serious interview thrown in (aw, who am I kidding—I lost all control of the whole thing! 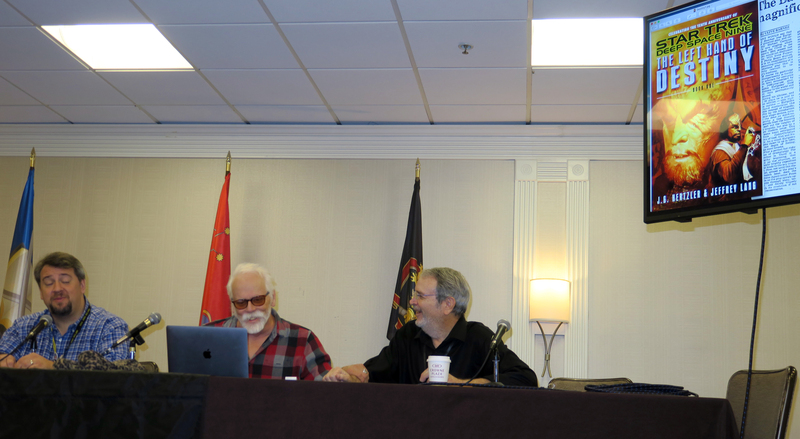 ), I discovered it was almost 5:00…time for my next panel. Gotta hurry! I looked around and saw no one but the audience still chatting with Gary and J.G. I’d been double-booked!! I didn’t fault Alec; he’d been running in ten different directions at once the whole day. 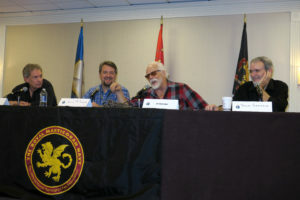 But there was no one else present to interview Paul, and I had just two minutes to get to my panel! I had no idea where Alec was, and no time to look for him or even to tell someone else to look for him! Steve is a reliable, intelligent guy. Steve is a teacher and used to speaking off the cuff and asking questions. Steve teaches music and voice, so he speaks well. Steve gives live performances (singing/opera/musicals), so he’s comfortable in front of an audience…or camera! I asked again. Steve said, “Sure.” I told him Paul was waiting inside, just get yourselves mic’d, sit down in the directors chairs, and interview him for 10 or 15 minutes. 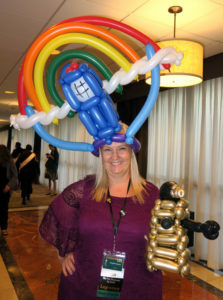 Then I was off at lucricrous speed for my panel! Steve told me later the interview went very well. If I didn’t say it before, Steve, THANK YOU! Axanar takes a village. Finally done with my panels for the day, I took a moment to relax. 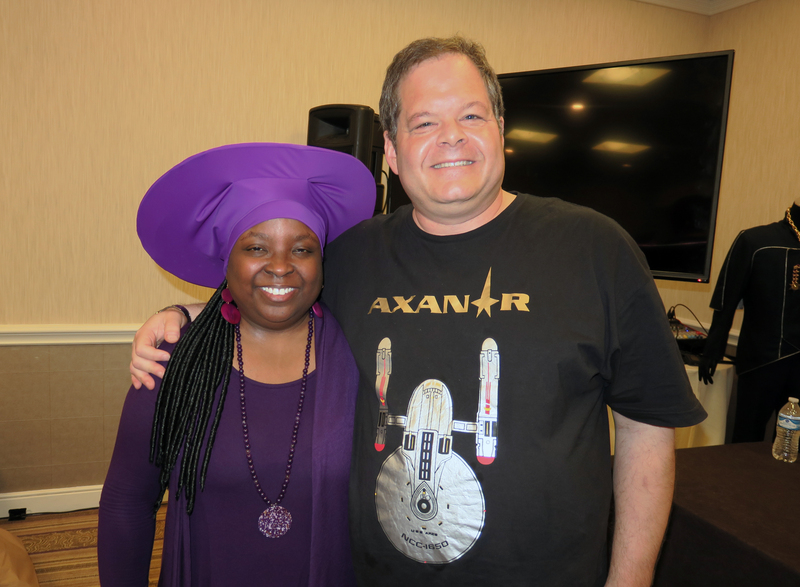 I had a nice conversation with my old friend ERIC L. WATTS, the man behind the yearly TREKLANTA mini-con and the person who runs the annual “Bjo” Awards…the only show of its kind to focus exclusively on Star Trek fan films. 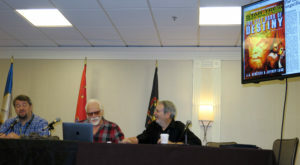 ….popped my head in to watch Alec on a panel with CHRIS WEUVE and Honor Harrington creator DAVID WEBER discussing how Honor Harrington affected Axanar. …and made sure to get a couple of shots of the sci-fi balloon sculptures being made by a talented guy in the vendor room. It was nearly time for dinner. As folks gathered in the bar area, a few of us noticed CARLOS PEDRAZA of Axamonitor eating all by himself in the hotel restaurant. I heard someone say, “Good! I hope he’s feeling lonely and miserable!” But a few of us (including me) felt really bad for him. First of all, it took a lot of courage for Carlos to fly 3,000 miles cross-country just to walk into the lion’s den…whatever his motives. Second, there really wasn’t anyone who was truly happy to see him. That can’t feel good at all. A couple of us talked about going to the hostess and paying for Carlos dinner. But we weren’t sure if he’d understand that we weren’t trying to mock him in some way. 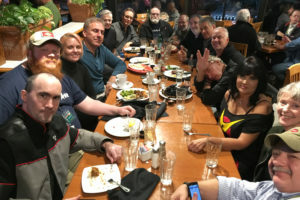 When Alec came down, I suggested that we invite Carlos to come to the dinner with the celebrities with everyone (16 people total, including Gary Graham, David Gerrold, and Paul Jenkins). Alec considered the idea—it was intriguing wondering how Carlos would respond to being invited to join in the fun and be part of the gang. But then Alec remembered that David Gerrold was irked by all the negativity hurled at him in the Axamonitor group over his Dr. Seuss/Star Trek mash-up book. Although Carlos himself didn’t say anything directly against David, neither did Carlos try to stop the cyberbullying. Since Carlos started the group and leads it as admin, his words carry some authority. By saying nothing, Carlos lost any respect that David Gerrold might have had for him. So Alec decided not to make this dinner awkward for David or anyone else. Sorry, Carlos. No sushi this trip…tonight was Malone’s Steak and Seafood, and it was excellent! Redd’s Apple Ale is nectar from the gods, I tellya! And, man, do I miss good Southern grits here in L.A.! Anyway, with a long table, most conversations were with the people in the immediate vicinity. In my case, it was David Gerrold, who told me about his gripe with Carlos. We also discussed the Dr. Seuss lawsuit (David couldn’t say much, though) before moving on to Star Trek: New Voyages, which David was the show-runner for “for about 30 minutes…” he said. I found out why three episodes that were filmed (including one David directed) were never completed and likely never would be. Unfortunately, David would not agree to go on record, so regrettably, I’ll need to take that knowledge to the grave with me…sorry, guys. 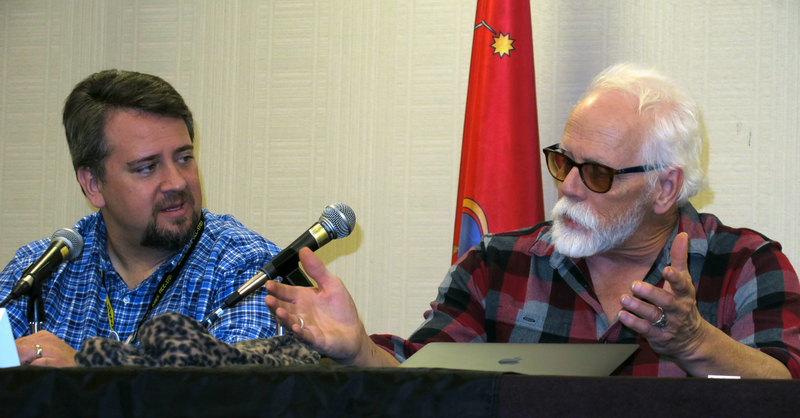 We then discussed David’s other major New Voyages episode, “Blood and Fire.” He told me he’d really like to re-edit it (which he’s allowed to do). But he needs a really good editor who’s willing to work for free. 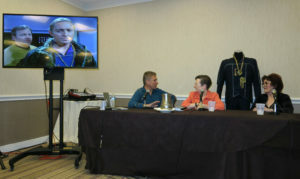 Anyone want to work directly for and with David Gerrold on a fan film with Denise Crosby in it? Back at the hotel, we all hung out at the bar for a while. J.G., who’d gone out for something more vegetarian than steak and seafood, joined us for a bit. 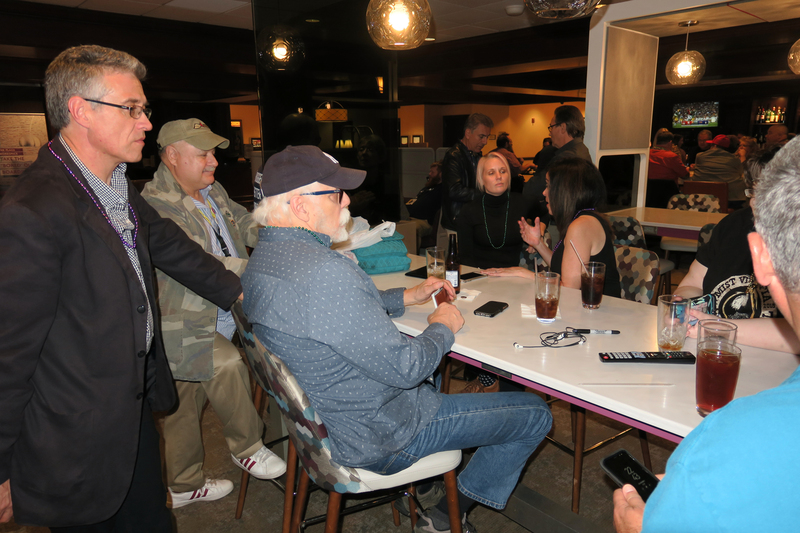 Others came and went, and just as I was about to leave, I noticed Carlos Pedraza sitting by himself at the far end of the bar. “Arrest that man!” I said, in mock urgency, as I pointed his way. Carlos smiled, and we shook hands, greeting each other warmly. Much as I wish Democrats and Republicans would behave, Carlos and I were both civil to each other, disagreeing of course, but confronting only the other’s beliefs and actions, not the person himself. We reminisced for a few minutes about Hidden Frontier, a fan series we’d both worked on in the early 2000s. I couldn’t remember if we’d ever met on set, but Carlos said we hadn’t, so I said, “Then nice to finally meet you in person.” And it was. Carlos is not a bad person, and I doubt he thinks I am. 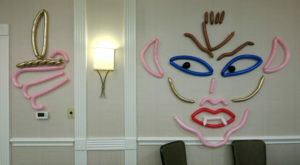 Our battlefield is the Internet, not the bar at the Crowne Plaza Atlanta-Airport. Then we spoke briefly about SHAWN P. O’HALLORAN, who had his moment in the Fan Film Factor spotlight on Tuesday. The conversation didn’t last long, though, as Alec came by, said a quick (not awkward) hello to Carlos, and the group staying with Alec headed back to Lawrenceville. Back at Alec’s house, it was nearly midnight. And even though daylight savings would generously grant us a precious hour of extra sleep, we each headed to our bedrooms to collapse. “Did you tell him that’s my FAVORITE episode of Star Trek, Daddy?” Jayden asked. It’s just great that all these different members of Star Trek fan fiction and the professional dramatic ensemble have a place to express their enthusiasm. It just beyond wonder! 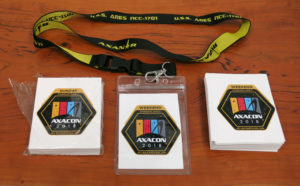 Axacon is it’s own gathering of forces, a real stunning event that needs 1000x more media press! It’s a real platform for a better understanding of where online content and dramatic webisodes are headed! Next year, my friends! I’ll be there next year!